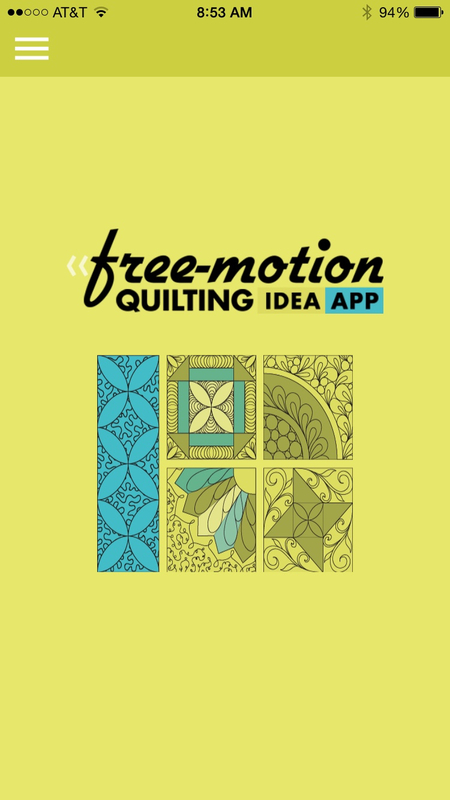 Home / BERNINA / The Free-Motion Quilting Idea App! 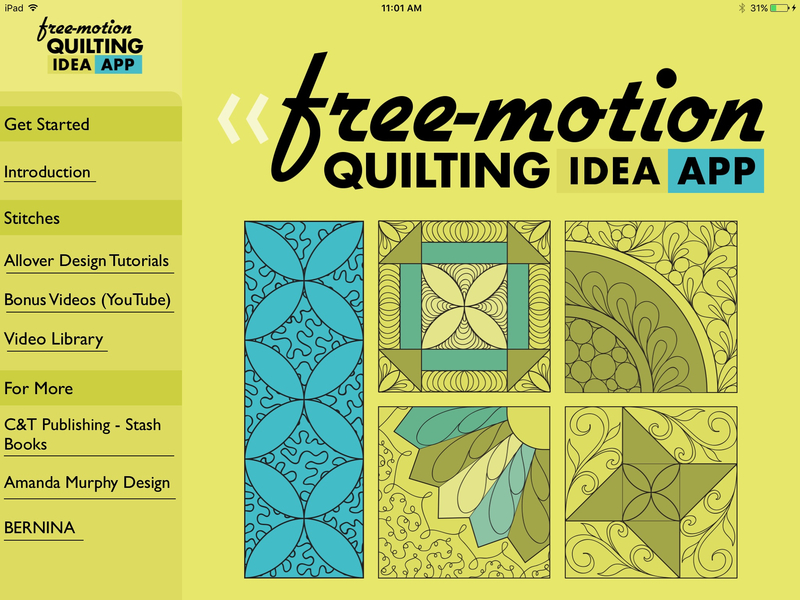 The Free-Motion Quilting Idea App! 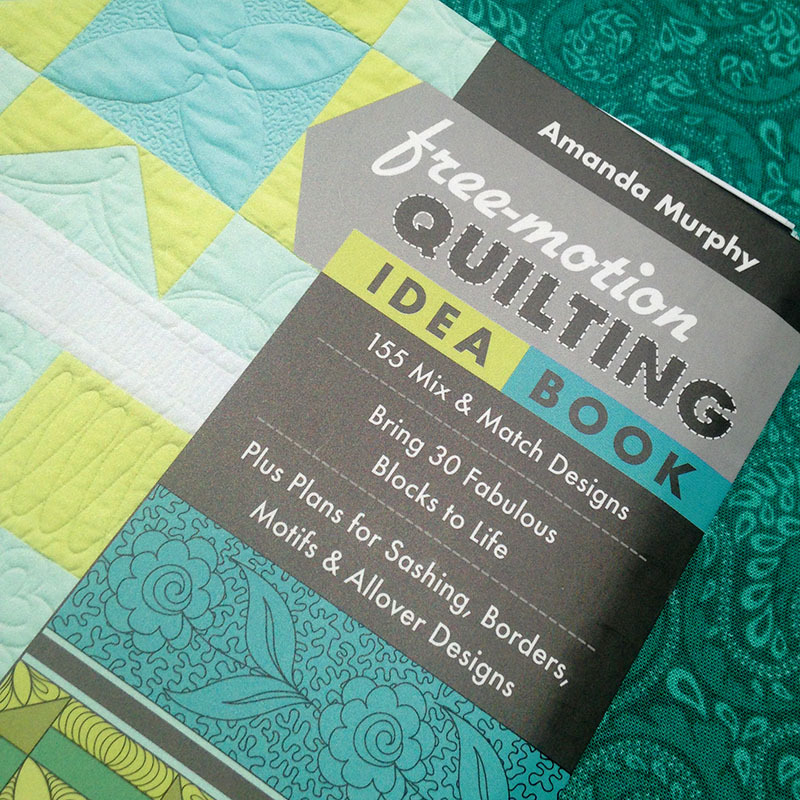 As many of you know, The Free-Motion Quilting Idea Book is a reference tool – to keep by your machine and spark your imagination. It is comprised of drawings that show you, step-by-step, how to form many different free-motion patterns and then apply them to blocks, sashing, and borders. It is a reference tool to keep by your machine, really. 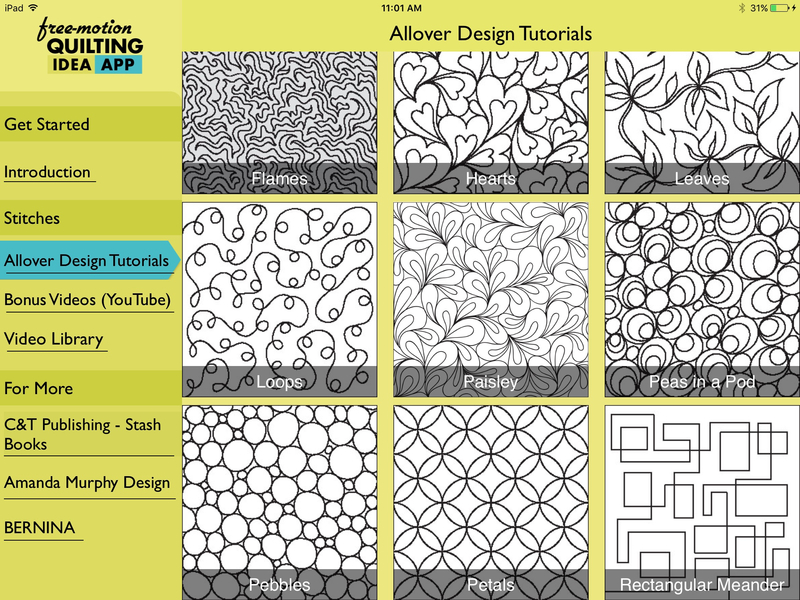 If you can do just a few free-motion patterns you CAN do custom-style quilting. I really believe that. If I can do it you can too! 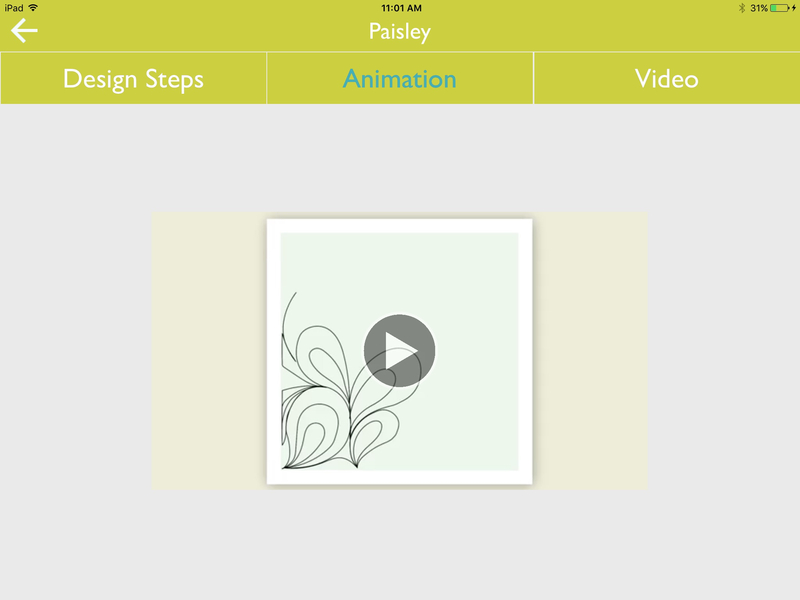 The App builds further expands that concept, showing you step-by-step through, through animation and video, how to form the basic allover designs that all the designs in the book were based upon. In the app you can actually see each of the allover patterns animated and many of them stitched out by me on the BERNINA Q Series! On the app you can actually see this paisley design being drawn out! I want to thank for C&T and BERNINA for making this project a reality. Seriously, I could have never ever done with with the help and support of these fantastic companies. All the filming was done at BERNINA USA headquarters in Chicago with an amazing and the entire thing was put together by the wonderful people at C&T Publishing, who had the vision to believe in the project in the first place. And I want to thank you guys out there for your enthusiastic reception of The Free-Motion Quilting Idea Book – quilters are amazingly creative and generous people. To find the App you can search the App store or use my affiliate link by clicking here. If you are interested in being part of my Facebook group for people who are getting inspiration from the book, app, and/or the companion sampler, please join us! I hope you really love the App! Congratulations Amanda! I’m on a team designing an app for a large organization so I know just how much work goes into that. It’s so exciting! Thanks! I kind of couldn’t believe C&T was enthusiastic about taking it on, but I was so pleased! Super exciting news! I can hardly wait for the android app!